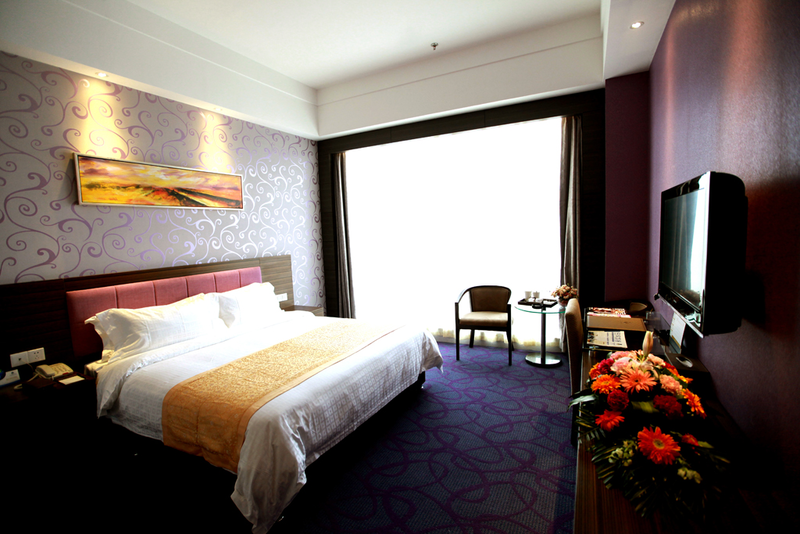 Located on Jinyinhu Road, the New Beacon Jinyinhu Hotel (Niubinkai Jinyunhu Guoji Jiudian) is 15-minutes' drive from Wuhan Tianhe International Airport and Hankou Railway Station. 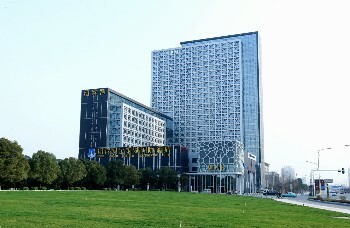 Wuchang Railway Station is 30 minutes away by car. Guestrooms in this hotel come equipped with all the standard amenities including international direct-dial phones, mini bars, mini refrigerators and in-room safes. 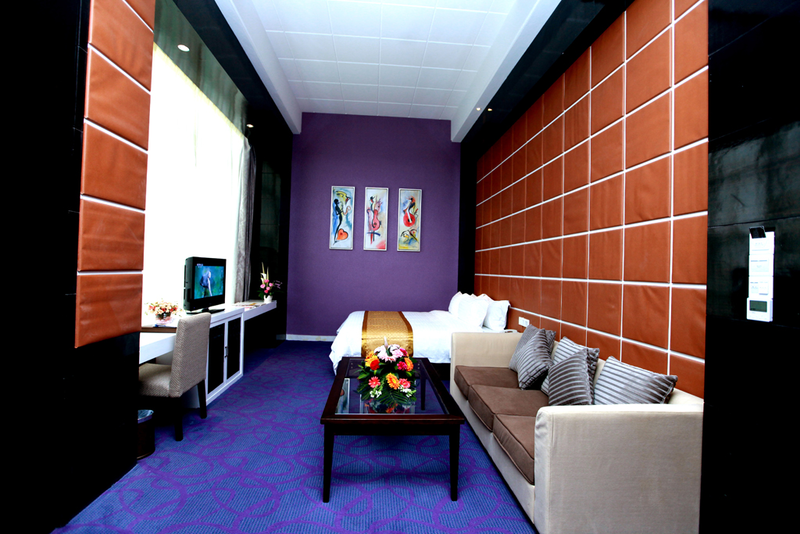 Wi-Fi and handicapped friendly rooms are also available. 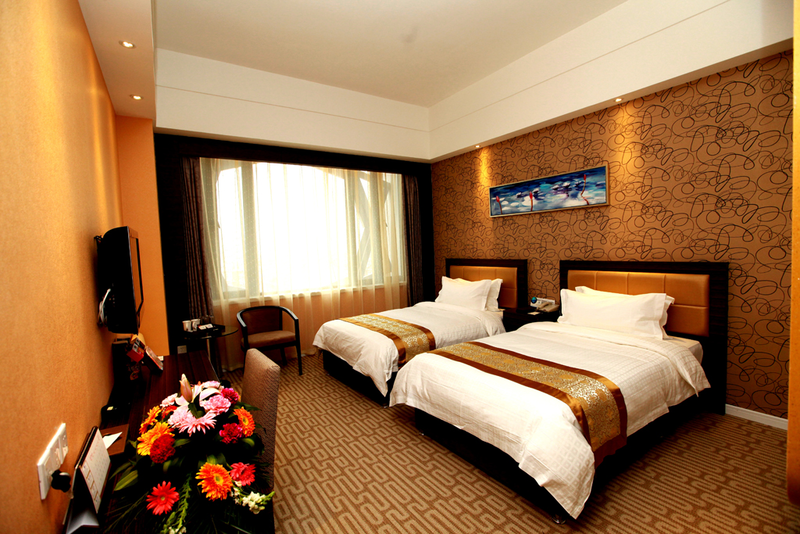 This Wuhan hotel serves cuisines from all around the globe, although mostly of Asian origin. 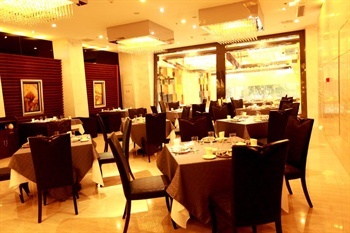 Guests who have penchants for Chinese food can relish Cantonese, Hunan and Hubei dishes while dining on-site. Dining can be enjoyed in one of the 30 private dining rooms, but for those intending to host large functions and parties, the banquet hall caters up to 300 people. This property provides several function halls appointed with audio systems and hi-tech multimedia systems used to conduct various kinds of business activities. Guests with free time on their hands can enjoy a massage at the spa, a work out in the fitness center, a drink at the night club or singing songs in the karaoke room.